Blushing bride striving to look your best on your special day? Looking to switch up your look? Want to indulge in a pampering session? Blushing Point Unisex Saloon has you covered. 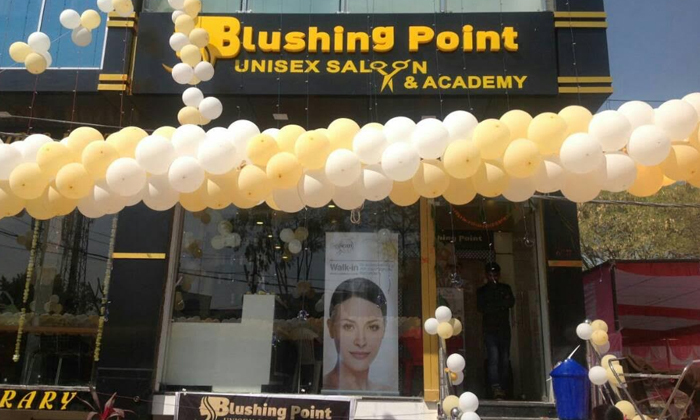 Located in Jagannathpuri, Blushing Point Unisex Saloon is a full service salon that offers a wide selection of hair care and beauty services that are designed to help you look good and feel fresh. The salon features clean, elegant interiors making it the right place to indulge yourself. The staff offers personaliised services and works to ensure customers are satisfied with every visit.